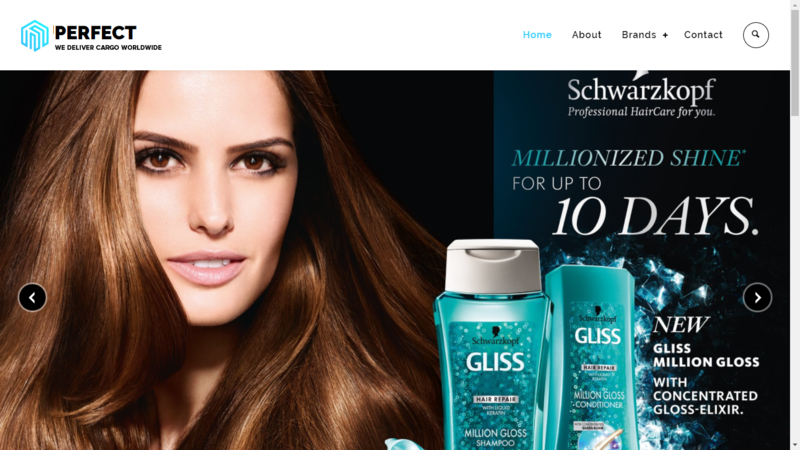 Our client ‘Perfect Brands’ is an official importer and distributor of Schwarzkopf cosmetic products. The client wanted us to develop a website that will showcase all the products they import and want to distribute in the Indian market. Also, the client offered certain services related to import and cargo, so wanted to highlight those as well. As client was into Import and Distribution business, we chose & customized ‘Logistics‘ theme for this project. We created a Hero Section in the home page that has a slider functionality which showcases the major brands the client works with followed by a small intro, top brands thumbnails & services provided by the client. We created individual pages for 3 brands – Gliss, Taft & Palette. Each of this pages has a gallery of product images under the brand. The Gallery was implemented using ‘Essentials Grid‘ plugin and the skin for the gallery was customized as per the client’s preference. A ‘distribution partners’ page was created to showcase the existing clientele of the company. A ‘Services’ page was created to highlight all the services provided by the client and their partners. Apart from this, other pages like contact us, about us, gallery etc were created as required by the client. We optimized the site for the Search engine by installing the ‘Yoast SEO‘ plugin.